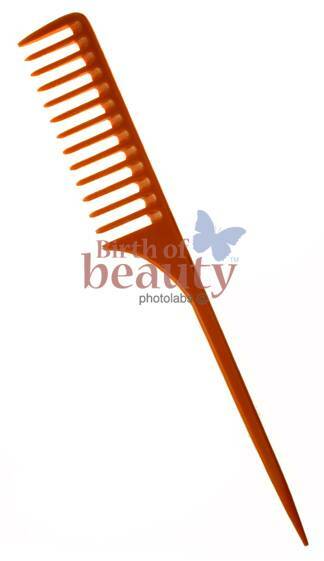 The Nubone 130 Master Pro Rake Tail Comb, measures 11.5" * 1.5". It's long, wide teeth take on the toughest snags and tangles with ease. Made from 100% organic resin. Hand-cut, sawed and polished so it will not rip or snag hair. Developed to duplicate the weight, hardness, feel and performance of the original bone combs. High heat resistance makes it ideal to use with popular hair straightening techniques like Brazilian keratin hair straightening, Japanese straightening and traditional flat ironing. While other combs are quick molded plastic, each NuBone comb is hand crafted from 100% organic resins. Every handle, tail, and tooth is hand sanded and polished to an exceptional finish. The Nubone 130 Master Pro Rake Tail Comb, measures 11.5" * 1.5". It's long, wide teeth take on the toughest snags and tangles with ease. Each NuBone comb is hand crafted from 100% organic resins. Every handle, tail, and tooth is hand sanded and polished to an exceptional finish. This exceptional finishing means NuBone combs will not tear or snag the hair. The Nubone material is hard and smooth just like bone, and can be hand carved, sawed, and polished to imitate all the unique features of these combs. They are also inherently anti-static, and can be used with hot implements without fear of damage. 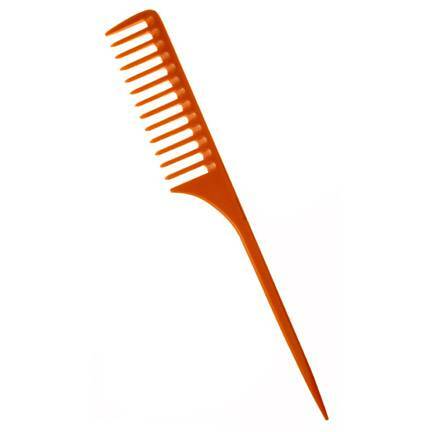 Master Pro Rake Tail Comb, 11.5" * 1.5"